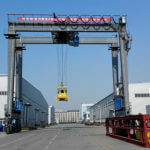 The production equipment of the aircraft industry needs the logistics and operation processing system that can reach the whole space without occupying the ground channel.The lockable hanging crane is responsible for carrying the valuables in the workshop and sending it to the assembly site. This saves precious time and greatly reduces the risk of damage. 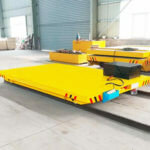 The lock-in crane can be moved directly into the adjacent workshops, without the need to waste the time to lay down the weight. 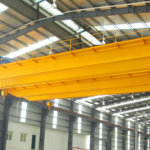 The suspension structure of a crane beam, restricted by structural type, is very small in size and can cover almost all workshop space. A safe and reliable process flow link: Lock hoisting equipment to move the component directly through two workshops. In the aircraft industry, the overlay operation of the assembly shop needs to span a large distance in the workshop. 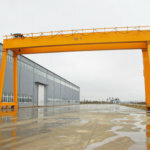 The most economical solution is to suspend a number of hanging cranes with a total span of more than 100 meters. Thus the ground can be used to perform all the production steps. In a certain structural form, the hoisting beam is suspended and the area is best used. 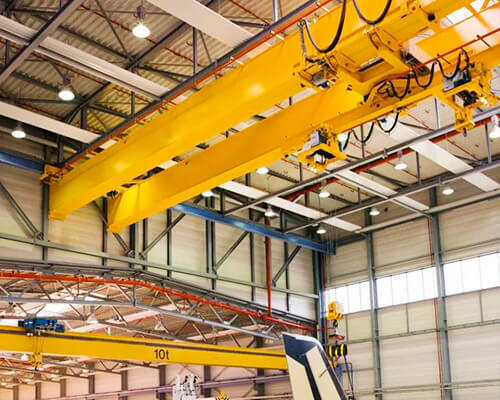 Because of these advantages of Ellsen lifting equipment, the structure design of the workshop scheme can be considered at the design stage.